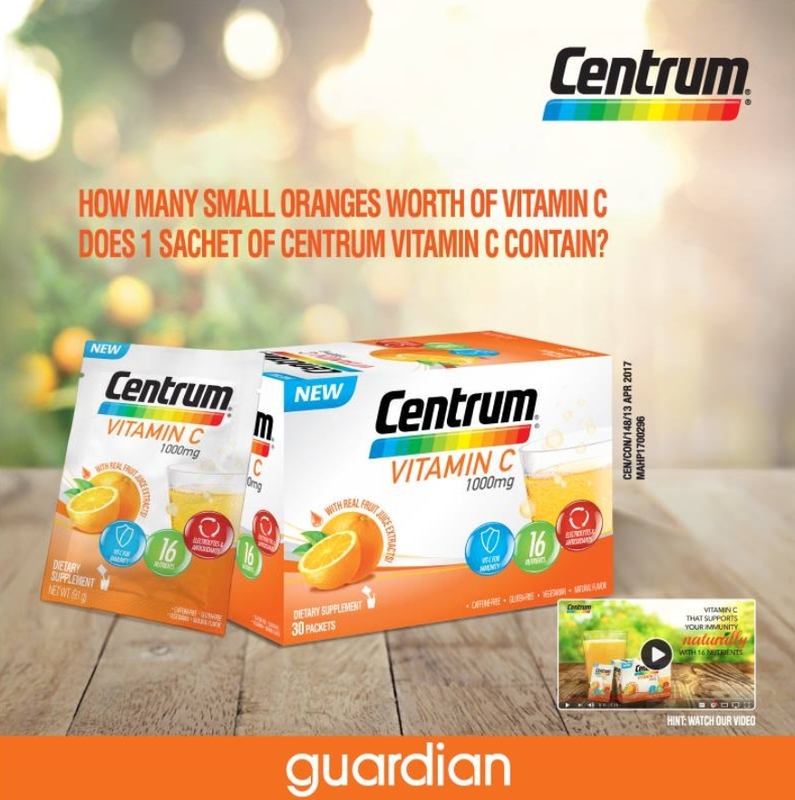 Want to win yourself a month’s worth of Centrum Vitamin C? Step 2: Answer the question below. Step 3: Share this post on your wall. Support your immunity naturally with Centrum Vitamin C today! Contest ends 30 November 2017.